The NCTA would like to share some great news for competitive junior players in the Ottawa area, as well as all their coaches and parents. 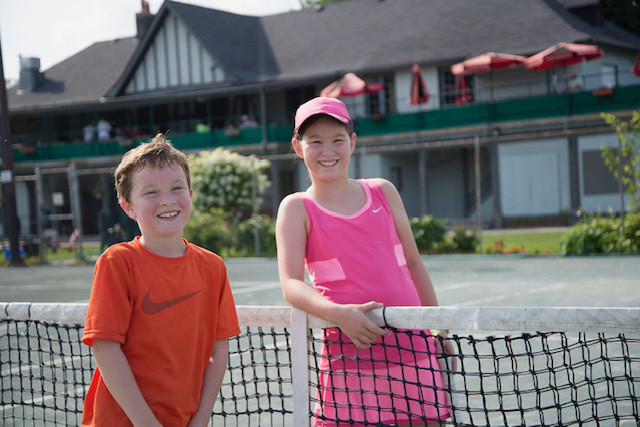 For those of you, who are not yet familiar with the Junior Development Fund (JDF), it was initially created through the efforts of the Rideau Tennis Club (RTC) member advisory committee and the RA Centre to support competitive juniors in the Ottawa area. For years, the annual Pro-Am and Fundraiser at the Rideau Tennis Club was linked to the Roman Cup and designed to match the annual donation made by Michael Cowpland to the OTA, as a scholarship to support the winners and runners-up. The Pro-Am main goal was to raise funds for juniors, through driving participation to the event, as well as through donations and sponsorships from local businesses. Through the support of the broader tennis community, it soon became a high profile annual event in Ottawa area. Similarly, the Roman Cup grew to a four star National Selection tournament with over 425 players being biggest in Canada in 2018. After the RTC was sold and changed ownership, the remaining JDF funds ($18,500) were transferred from the RA Centre to the NCTA and a JDF committee, consisting of John Wins-Purdy, Zhenya Kondratovski, Tony Roth, Mark Armstrong and Marinus Wins, was created to come up with a proposal to advise the NCTA about the allocation of those funds. In the Fall of 2018, the NCTA approved the committees proposal for funds to be allocated in year 1. Any player that qualifies and participates in Nationals will be eligible to receive an equal amount of funds to be used towards their travel, coaching, equipment, etc. For example, if there are four players that qualify, and who train regularly in the Ottawa region, the $2,000 will be divided evenly between them ($500 each). We felt that, for the first year, it was important to keep the criteria very simple and to try to help and benefit players and their families, who on that road to Nationals have invested a lot of time and money, as well as sacrificed a lot for their child’s development. Qualifying for a spot at the Canadian Junior Nationals as a player is certainly a great accomplishment and achievement that needs to be recognized and celebrated. The NCTA strongly supports collaboration and team building between clubs, academies, coaches, players and parents which is why $1,000 will go towards the UTR re-groupings, where players of different ages come together to train and benefit from the expertise of our top coaches, including fitness and mental conditioning. The first Ottawa regional regrouping in December of 2017 at the OAC was a huge success and regroupings are a proven training component at the provincial and national levels. We hope that these types of events grow locally in the future and we are proud to support the growth of a model which we believe will benefit players, coaches and parents alike, by pooling our talent and resources together. Currently, we have been looking at different fundraising models to ensure the sustainability of the JDF and have enlisted the pro bono help of a professional fundraiser (also an avid tennis player) to help us craft a strategy to ensure continuity and growth. This JDF initiative took years to materialize and now we can collectively help our players succeed provincially and nationally. Any help or support from parents, coaches, business owners, or essentially anyone who can contribute their time, ideas and energy, would be greatly appreciated. We are open to a conversation and input from you, because we are in the early stages of this effort and the more feedback and guidance we receive, the stronger and more successful this fund will be. As a JDF committee (and also coaches ourselves) we feel that if we are able to succeed in making the fund sustainable and creating more of a community involvement and getting necessary traction, we will be able to broaden the criteria, address where the funds can be expanded and partner with clubs, businesses including sports retail, to address the challenges players and families face for court time, equipment and costs, associated with player development in our region. This is just a first step in the process of getting Ottawa players the help they need and we are counting on your support with it. The NCTA is proud to support our junior competitive athletes and hopes to grow this fund to fuel the development of our outstanding talent and support the hard working families, coaches and players who are on this journey and passionate about the game of tennis. We realize that, increasing the contribution that Ottawa makes to creating Canada’s future tennis champions will require a much higher level of cooperation between the clubs and the entire tennis community in Ottawa. We are excited to share with you the new about our Capital Kids program, which has just got the grant approved by the Ontario Trillium Foundation. Capital Kids is the outreach tennis program, a collaborative effort between Ontario Tennis Association (OTA), National Capital Tennis Association (NCTA), City of Ottawa and the Ontario Trillium Foundation. “Seed” was planted in 2014, with the initial grant and Capital Kids have grown over the past five years into over 6,400 children, who have been introduced to the tennis lessons at community tennis courts. Lessons are taking place in various neighborhoods across city to make tennis accessible sport for all. Using progressive tennis equipment and led by the certified tennis instructors, this low cost ($10 per child per four week session) has given a lot of kids an opportunity to learn the sport of the lifetime. From there on, kids are encouraged to join low cost leagues and programs at the local clubs. The Ottawa-based Capital Kids program will launch into its 6th year of programming starting spring 2019. 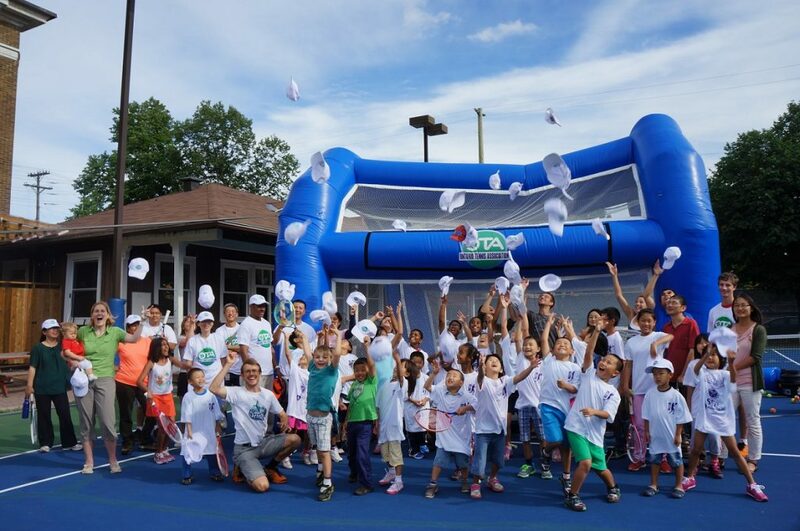 In collaboration with the National Capital Tennis Association (NCTA) and the City of Ottawa, Capital Kids has provided free and low-cost tennis lessons to more than 6,000 children ages 6 to 12. The program first launched in 2014, thanks to a 3-year Ontario Trillium Foundation (OTF) grant. Since then, the program has continued through low-cost participation fees and the ongoing diligence of the NCTA staff and volunteers. From 2019 to 2021, Capital Kids will be delivered for children and youth, at up to 8 community tennis sites. Enhancements to the program will include: expanding the age limit to 15; opportunities for beginner competition through Rogers Rookie events; indoor programming through the winter months; and implementation at 8 brand new locations. This initiative represents a shared goal between the OTA and NCTA to provide more children with affordable and accessible tennis programs. The support of the Ontario Trillium Foundation will aid us tremendously in achieving these goals. Over the next 3 years, Capital Kids will continue to reduce barriers to participation in tennis for more than 2,100 children living in low-income and/or diverse cultural communities. Founded in 1919, the Ontario Tennis Association (OTA) is a non-profit, provincial sport association for tennis in Ontario. It is the largest provincial sport association in Canada, boasting 240 member clubs and encompassing 65,000 adult and junior tennis players. The OTA promotes participation in the sport of tennis and provides a structure of services assisting players to reach a level of competence consistent with their personal goals and abilities. The OTA is located at the Aviva Centre in Toronto. 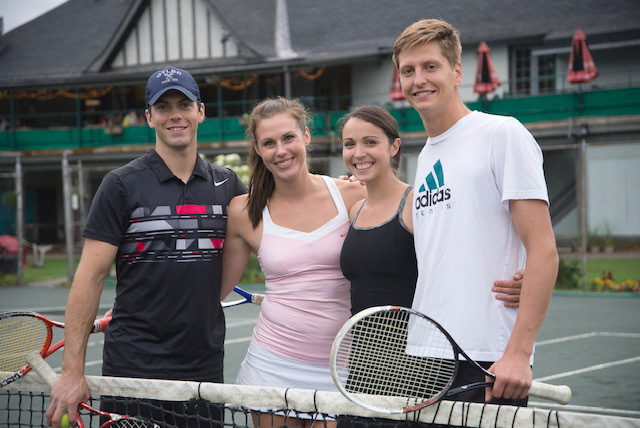 For more information, please visit: www.tennisontario.com. The National Capital Tennis Association (NCTA) is a region of the OTA. Please visit www.ncta.ca for more information. A leading grant maker in Canada, the Ontario Trillium Foundation (OTF) strengthens the capacity of the voluntary sector through investments in community-based initiatives. An agency of the Government of Ontario, OTF builds healthy and vibrant communities. Visit www.otf.ca for more information. OTLBC is undertaking a major upgrade to its courts and lighting! The Ottawa Tennis and Lawn Bowling Club (OTLBC) will feature substantially improved playing conditions next season, thanks to a project to resurface courts and install an LED lighting system. “This is great news for members and visitors alike,” says Jenny Mitchell, President of OTLBC’s Board of Directors. The project includes the installation of LED lights on 12 courts, the resurfacing (laser-grading) of up to 14 courts and the installation of a new irrigation system. To maximize the impact of these improvements, work is already underway to upgrade OTLBC’s drainage, watering and electrical systems. Resurfacing will begin once this essential preliminary work is complete. Founded in 1881 and at its current location on Cameron Avenue since 1923, OTLBC is a thriving facility that features 18 Har-Tru courts (12 lit for night play), a large outdoor pool, 12 beach-volleyball courts, a 120-seat restaurant, meeting rooms and more. The Club has experienced a renaissance in recent years thanks to a series of strategic partnerships. Under a 2018 partnership, the owners of The Belmont, a popular Ottawa South restaurant, opened a new pub – The Cameron – upstairs at OTLBC. The Cameron earned rave reviews from both OTLBC members and neighbourhood patrons. OTLBC’s signature wraparound balcony, which seats 85 and overlooks the courts and grounds – was busy all season long. The season also marked the debut of The Press, a café run by The Urban Element and serving snacks, sandwiches and fine coffee from morning until early afternoon. An ongoing partnership with Ottawa Sports and Social Club (OSSC) is another important contributor to OTLBC’s resurgence. OTLBC leases 12 beach-volleyball courts to OSSC for league play Monday through Thursday evenings. Along with generating additional revenues for OTLBC, the partnership ensures a steady stream of patrons for The Cameron. To all the Future Stars U9 and U10 participants, don’t miss this coming event at the STA! See the link above. Good luck to all the players and if you missed the deadline, see our and the OTA web sites for the upcoming Future Stars events in the Ottawa area! 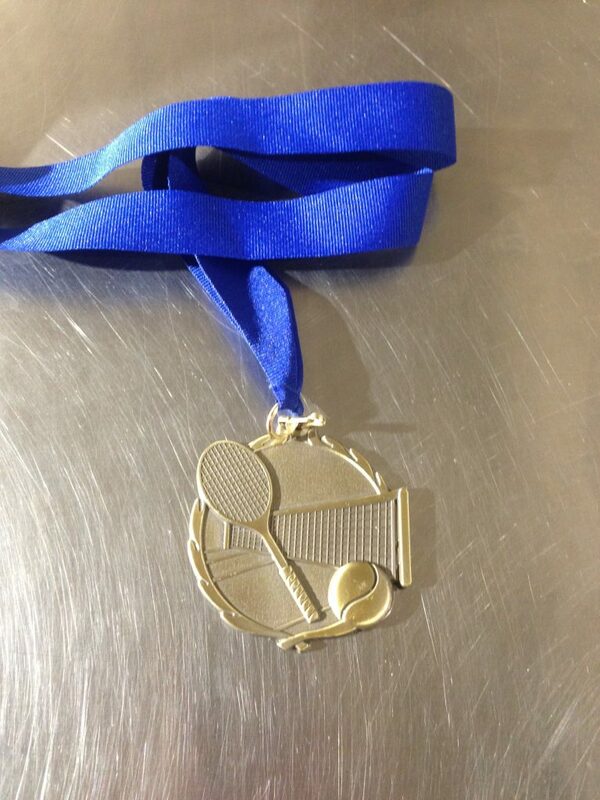 NCTA tennis leagues for January have begun! If you’d like to be contacted to spare occationally in NCTA leagues, please fill out this form. Ariane Souligny is our January Player of the Month!